For more than 25 years, extreme car enthusiasts have used Klasse All-In-One to clean, finely polish and seal their paint. But, that's just the beginning. Show car winners know the real secret is Klasse Sealant Glaze, which layers to create a deep, wet-looking finish with tremendous gloss and radiance. The paint care experts at Sonus have engineered a new solution that takes the Klasse shine to a new level of perfection. WARNING! 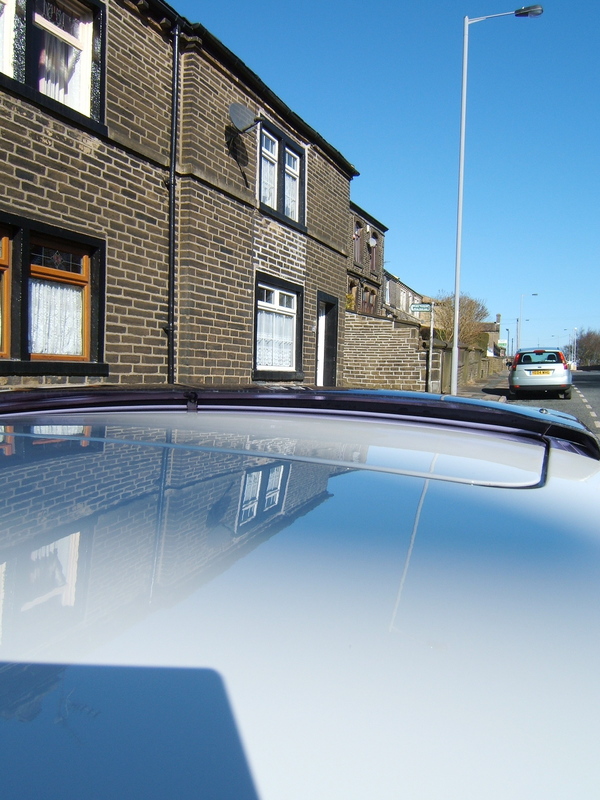 Use of Sonus Acrylic Glanz may attract excessive attention to your car! Sonus Acrylic Glanz takes the Klasse system to the next level. It complements the Klasse system by taking over where Klasse Sealant Glaze leaves off. Using the same secret acrylic polymers, Sonus Acrylic Glanz spray sealant makes paint pop with color and brilliance while it adds additional protection. Simply spray, wipe and buff to create an awesome final finish! Sonus Acrylic Glanz is a unique solution that dramatically enhances the gloss, slickness and protection of the Klasse system, creating the "pop" that every car enthusiast craves. Taking your car out on the town and want to impress? No problem, use Sonus Acrylic Glanz. Cleaning the car up after a bout of bad weather? Sonus Acrylic Glanz is the right solution to fully restore the Klasse shine and protection in less than 10 minutes. ... applied to a Werkstat Prime/AJT finish. I reckon it will play well with Collinite 476S and Finish Kare 1000P as well. 10/10 ... cannot be faulted. Interesting to see that it worked so well on white Paul. I was a little underwhelmed with it on Metallic Black with Blackfire Spray Sealant and Zaino Z8 giving a better result (although the difference between all of them was very slight). Black is a curious beast - I'm of the opinion that "glossiness" does not suit it, but shimmering depth is the right prescription. I tend to keep the more sealant finishes for lighter colours. Glanz worked really well on white and I think on silvers, also. I think the inherent mirror-like glassiness of polished black is not a finish that would be enhanced by this product. You seemed to find that, Andy. Spun the other way around, I found Zaino Z8 did absolutely nack all on my white car, but looks great on the black one. I think on a black car that had the Car-Lack/Klasse/Werkstat twins in whatever form, it would be better to use a deeper, more shimmering show detailer. I wonder if that is where the Carnauba Glos fits in as part of the Werkstat range. Acrylic Glos and Glanz do seem to be related, certainly evident in the scent that is present during application - for looks, Glanz won hands down. It perhaps does not clean as well as Acrylic Glos. As well as Sonus Acrylic Glanz, Sonus also product a couple of quick detailers - Acrylic and Carnauba Spritz. I think these are more along the lines of the Werkstat Glos products. Sonus Acrylic Glanz is somewhere between the sealant and one of these QDs - a "show detailer". Having used all three brands, I think the ideal is probably the Car-Lack68 NSC original, Werkstat AJT and Sonus Acrylic Glanz. I agree with you about the Sonus QD's and Glos. I've tended to get along better with either Prime Acrylic or NSC followed by Carlack LLS using either Glos or Acrylic Spritz to remove any difficult to buff residue and for general QD duties, with Zaino Z8 as a topper. I prefer to use LLS to AJT purely becuase I use loads less product this way (I reckon that one layer of LLS is roughly equivalent to 2 layers of AJT), and 4 layers of AJT = about 1/3rd of a bottle. I often use Poorboy's Black Hole or White Diamond as glaze between 2 layers of LLS if any filling is needed. I'm going to try some Wet Mirror Finish between some LLS layers sometime soon. What I like about the Werkstat, Carlack and Sonus products is that they are all compatible with each other and allow for a variety of combinations depending upon user preference. Thanks roxteddy ... pictures never quite show off what the eye sees, so you imagine how that finish actually looks. For others reading this who might wonder why we're talking about four brands here and a number of acronyms, Car-Lack, Klasse and Werkstat are all based on the same formula. The thing about AJT is that it is sprayable. LLS is also sprayable if you get the right spray head and let it out a little with a QD. Werkstat Acrylic Glos = Sonus Acrylic Spritz? Werkstat Carnauba Glos = Sonus Carnauba Spritz? Here we get into a second range of carnauba based products. There is also a sprayable version of LLS remixed with carnauba in the Werkstat range and comparable to AJT. This Sonus Acrylic Glanz is not quite as concentrated a form of LLS as AJT, but richer in LLS than the Glos or Spritz sprays. I called it the missing product from the Werkstat range. ajc's neat tip about using a spritz of Glos or Spritz to assist the removal of any difficult areas of LLS is worth noting. It also works with any Prime / NSC that has dried on the panel and become difficult to remove. Will definitely have to get some of this. Actually, the sun made a lot of the look, but it is there - I checked once the sun had gone in and it really is deep. I like to take pictures which really show off what the eye sees - yes, they might show more than is "normal" in a picture, but it is still more what the eye sees. Sounds excellent, I think it will look good on our light car.